Training is an investment, not an expense. 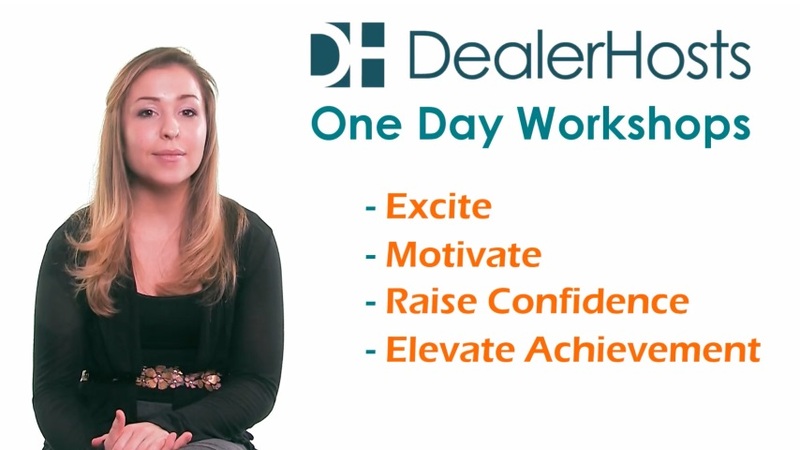 At DealerHosts™ we have the passion and commitment so you get the most out of your training time. We take the time to do it right. Our programs are flexible and we even guarantee a return on your investment. Our one day workshops are an uplifting experience, intended to excite and motivate each salesperson, raising their confidence level and bringing them to heights of achievement never before realized! These workshops are a must for any salesperson or team. How to Keep a Great Attitude Want to Learn Proper Marketing Skills? How to Handle Incoming Calls Want to Improve Follow up Calls and Make Them Easy? How to Make Your Customer Trust You Want to Learn How to Get Customers In and Sell Them? All workshops include provided materials to follow along with, so learning is easy! Our experienced speakers will excite, motivate, and educate each person on how to reach their full sales potential. Get ready to make your dealership more efficient, effective, and successful! Please contact us for scheduling and rates. We look forward to working with you!